I have only owned this filter for a short amount of time, but believe it is going to become indispensable for my night photography. I thought I would share with you my findings so far. If like me you live or shoot in a heavily light polluted area you will understand what a problem this is when it comes to producing your final images. Didymium filters have been used for many years by astronomers to reduce the amount of light pollution in the night sky. However they have only relatively recently been adopted by photographers. They work by filtering out orange and yellow wavelengths of light from the spectrum. These wavelengths of light are commonly found in towns, city's, and street lighting.The resulting effect is a much darker more natural blue looking sky. 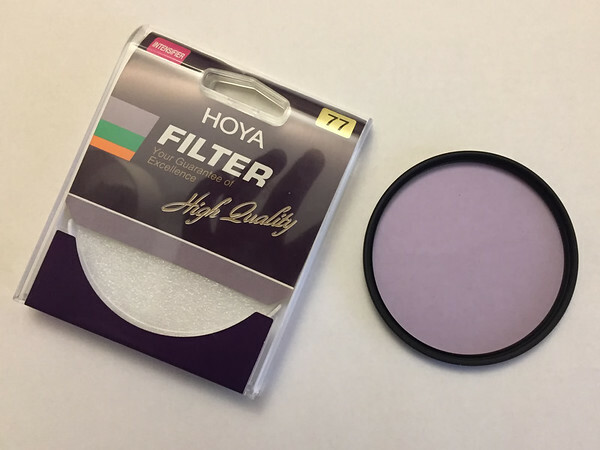 The filter appears to be well made as you would expect from a company like Hoya. 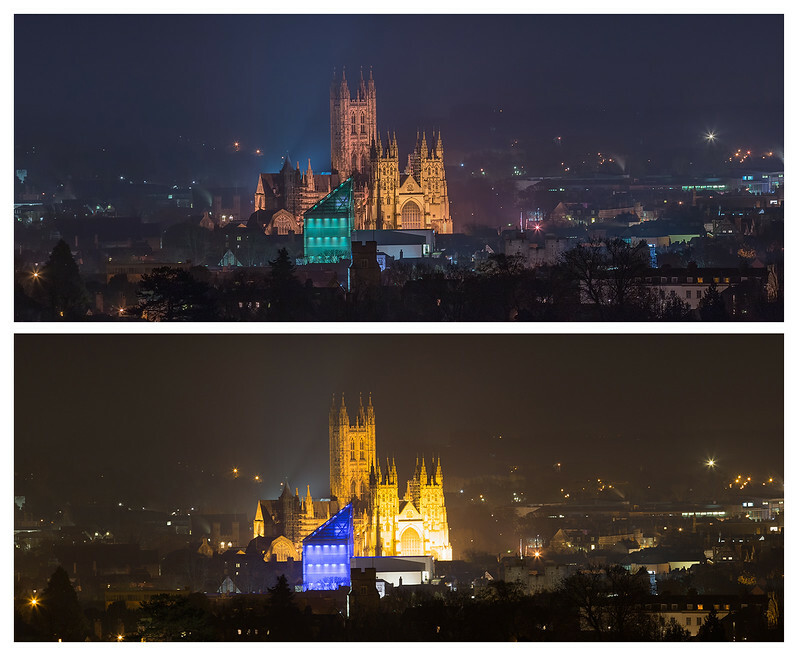 There is no apparent loss of sharpness to the image but one thing worth noting is it does slightly reduce the amount of actual light entering the camera which means exposure times will be slightly lengthened. These filters do not appear to be readily available in the UK. When it came to purchasing my Hoya red intensifier, I had to ship one over from the states as not even the main Hoya distributor had them in stock. Below is a comparison of with / without the filter. The camera setting are otherwise the same. (f8, 200mm, iso 100, 25 seconds, white balance tungsten). It is worth noting the light blue / green lights on the Marlowe theatre in the foreground are different as they cycle through changing colours.